I found a totally cool hat in a charity shop this year. 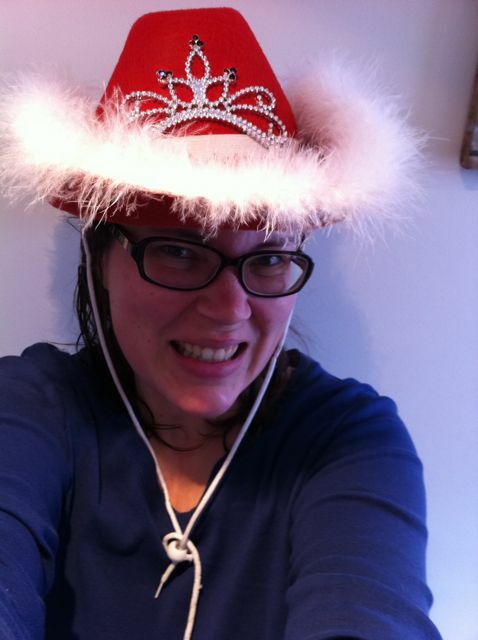 It is a red cowboy hat with marabou trim, a tiara with light-up jewels and a band that says, “Merry Christmas”. It is sooo me is it not? All of this Christmas goodness for only a pound!!!! That is a gloriously absurd hat! I love it!